If you haven't already entered our GIVEAWAY be sure to hurry and enter. We will be picking the winner later today. Good Luck! And here is a step by step on how to make this cute snowflake. And at the end I give you different patterns you could do to make your own snowflake. First you need to gather your supplies. After gathering my supplies I took my sticks and glued 5 sticks together vertically. I did this 3 different times. And yes the picture only shows 4 sticks in each set. Decided last minute to add another stick. But you get the idea. I then laid my sticks out and created my snowflake to get an idea of my pattern. I wanted to make sure I got my angles just right. Next I glue the inside star together. Again I lay the sticks out to make sure I get my angles just right and get the right look. Once I get my desired look I just leave the sticks in place and glue them one at a time. Once my inside star is all glued together I then begin my last round of sticks. When I glue the last round I make sure to keep the angles the same. Next I spray painted the whole thing white. You could take a foam brush and paint it that way but I didn't have a brush so I opted to spray paint it. And yes I live in Northern Utah and I sprayed painted this outside in short sleeves and flip flops. And notice the only snow you see is the snowflake I made:) Loving this winter so far. 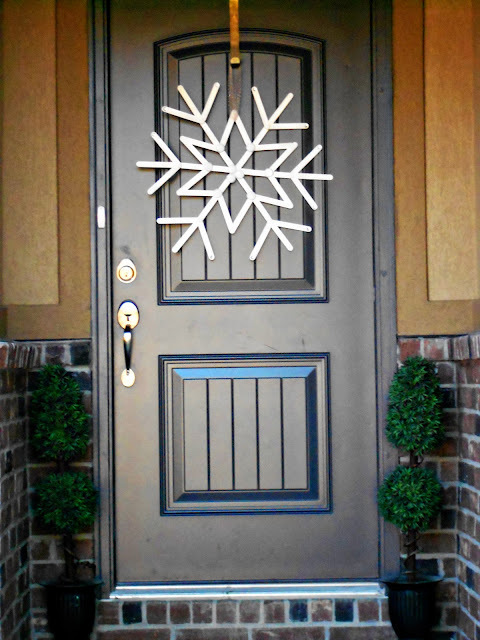 Once the paint is dry you will then add your round shapes to the snowflake. Since I live about an hour away from a Michael's or Roberts or Hobby Lobby I didn't have time to go get circle wooden discs so that's why I went with the bottle caps and brads. But like I said earlier you can be creative and choose whatever you want. I also added little crystals to some of the ends. Once you have bedazzled your snowflake you then take some ribbon or tulle and tie it onto the snowflake. And here is the finished product. I think hanging these on dark colored doors make them look that much cuter. And in case you don't like the pattern here is a collage of more snowflakes you could make. 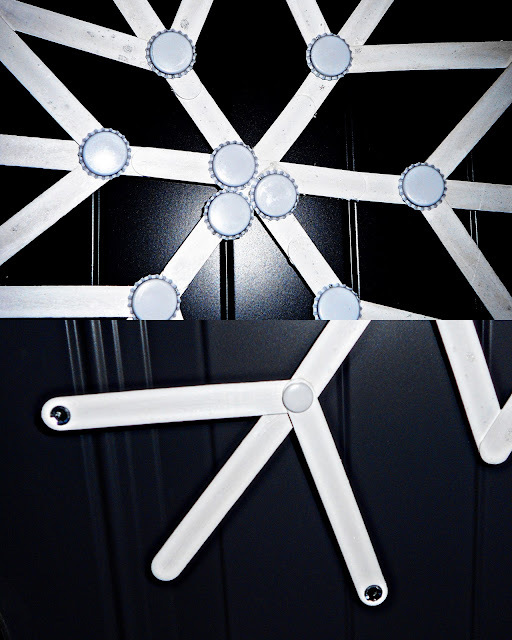 As I was looking at my snowflake this morning I was thinking about making some more smaller ones for my kids windows. I just happened to look down and noticed that I was wearing snowflake jammie bottoms. 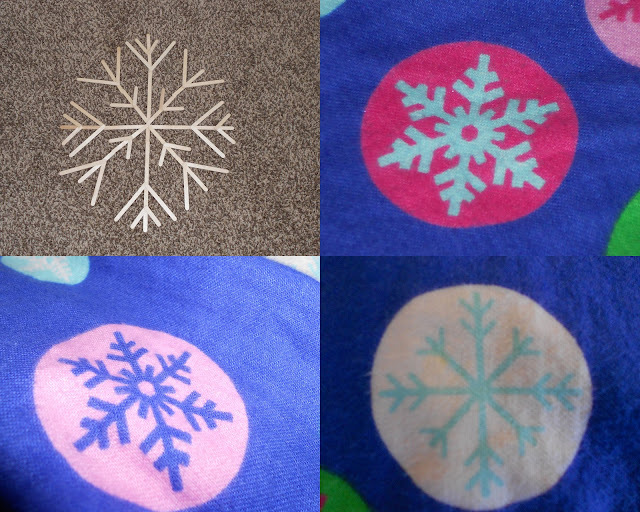 The more I looked the more I noticed that there were some cute patterns that I could use for future snowflakes. I made the top one with the regular sized Popsicle sticks. That's as far as I got otherwise I would of had a better picture of it. Happy snowflaking!!! 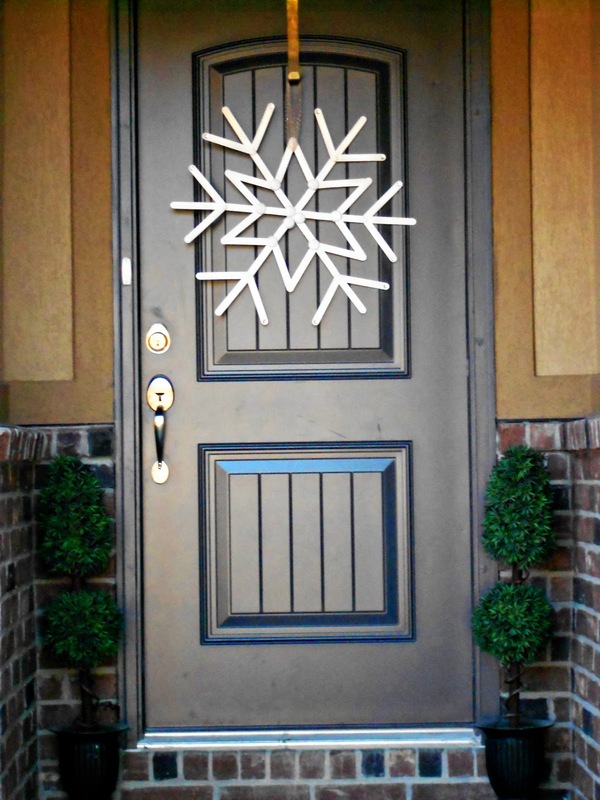 Maybe now that I have a snowflake on my door it will finally snow here in Utah. Again I am 100% fine that it is 50 degrees here as are my kids who played outside in the dirt, but my husband is panicking and worrying about a drought already. This is so pretty and creative! You did a great job, thanks for the tutorial! Very cute! And I have a black front door...perfect! Way cute!! I think Utah homes have such pretty doors!! The dark door definitely makes it stand out and look so much cuter than it already is!! Good job!! Yes your front porch is perfect for that snowflake. It looks great! And congrats on making something you pinned. I think it turned out really cute and think i need one of these someday! I have been looking for a wintery wreath even though it was 54* and sunny here in Chicagoland today! I am your newest follower! 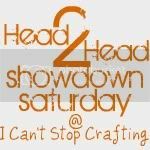 I’m stopping by from TT & J… and would LOVE for you to come by and link this up at my “Create and Inspire” Party! 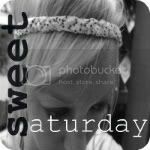 I am now following and looking forward for more of your awesome posts! Now that's a snowflake! I love it on your front door. WOW!! I am SO impressed that this was made with popsicile sticks! At first glance, I thought it was vinyl on your door. Perfectly lovely for winter! 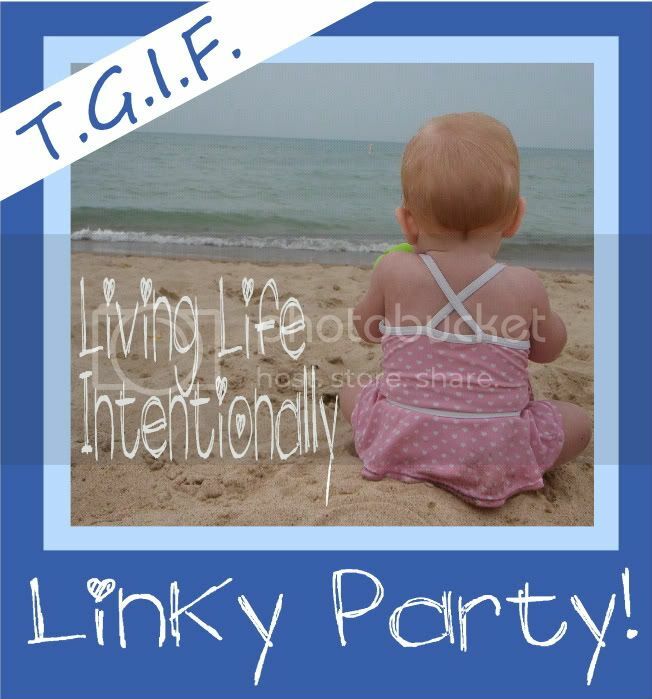 Thanks so much for sharing at Oopsey Daisy! Spinach Smoothie for ME and my BABY! !